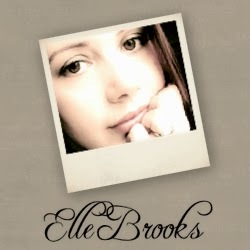 I had the amazing opportunity to ask Elle some questions about Empty Promises, her books, and some other fun things!! Be sure to check out the interview below!! Wow, that’s actually a really tough question. It wasn’t one particular thing; it was a culmination of events, ideas and timing that allowed me to write this series. I had an idea for the story, and yes, in part it was inspired by an event. My beautiful daughter was diagnosed with leukemia in 2011. Throughout her treatment, I witnessed things that I never expected to in a million years. I watched some pretty amazing children, my own included; beat the dreadful disease that is cancer. On the flip side, I also observed the most heroic children anyone could ever have the absolute pleasure of meeting, make the most of each and every day, with poise and grace, knowing that they were dying. It took a long time for me to be in a place where I could write my series, and whether people love it, hate it, or are indifferent. I couldn’t be more proud. 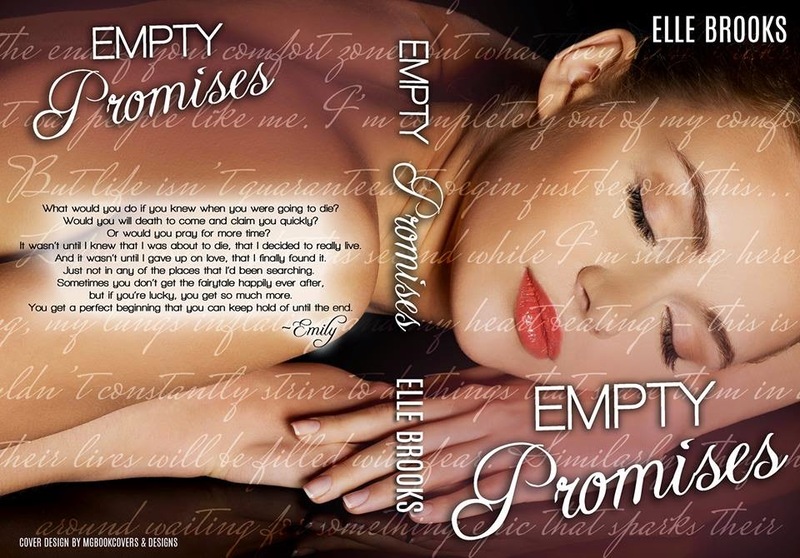 *Empty Promises is a prequel novella to the other books you’ve written. Did you know the events of this book before you wrote Promises Hurt and Forgotten Promises? *I know it’s tough to pick, but if there’s one thing you would want a reader to take away from Empty Promises, what would it be and why? You’re right it is really hard! I think if anything, I want people to read Emily’s story and be inspired to live each day wearing a smile. How wonderful would the world be, if everyone were thankful for today, and hopeful for tomorrow? We don’t get a say in the life that we are born into, but we do have a choice in how we live it. *What’s something on your bucket list that you hope to one day check off? I have lots of things on my bucket list from visiting the original 7 natural wonders of the world, to attending a premier. If I could cross only one thing off, it would be to one day make the New York Times Bestseller list . Music. It’s very inspirational. I love to listen while I’m writing, although it does have to be on very low in the background. Oh, and coffee, but I’ll admit, sometimes it’s substituted for wine. *What’s the best and worst thing about being an author/writer? I can’t turn my brain off! I look at everything and think, how would that work in a book! 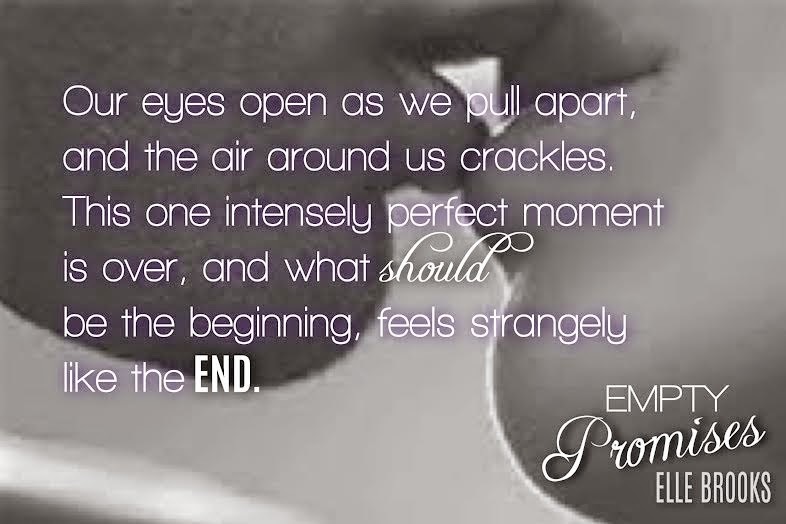 *Do you have a favorite scene from Empty Promises, and if so why is it your favorite? My favorite scene is Lucas asking Emily to let him try and win her heart. That boy melts me. Sigh. He’s aware that what he’s asking will most definitely break his heart sooner rather than later, but he plows ahead regardless, and not just because of an item on a list, but because he truly believes Emily deserves to know true love. *If you could spend the day with only one of your characters, who would you pick and what would you do? *What’s up next for you now that the Promises Series is finished? I’m currently working on a new standalone novel. It will be a little sexier than the Promises series, but hopefully just as entertaining. It’s top secret at the moment, but I can tell you that I am LOVING writing it. THANK YOU so much to Elle for answering my questions!! 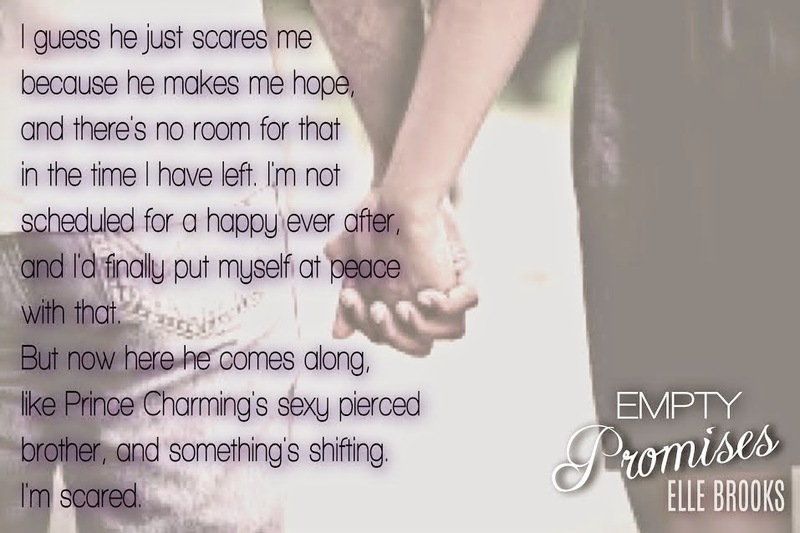 I have already read Empty Promises, and I LOVED it!! Be sure to stay tuned for my review post of this MUST READ!! Book #1 is “Promises Hurt” released in August 2014. Book #2 is “Forgotten Promises” released November 2014. Fiction? 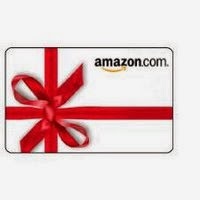 A little info? Where available? Hi Sandy, I am so sorry for all of the confusion. Apparently my post did not save correctly, which I am only realizing now, which is why there was no content. It should all be updated now!! Be sure to check out the book, because it is amazing!! 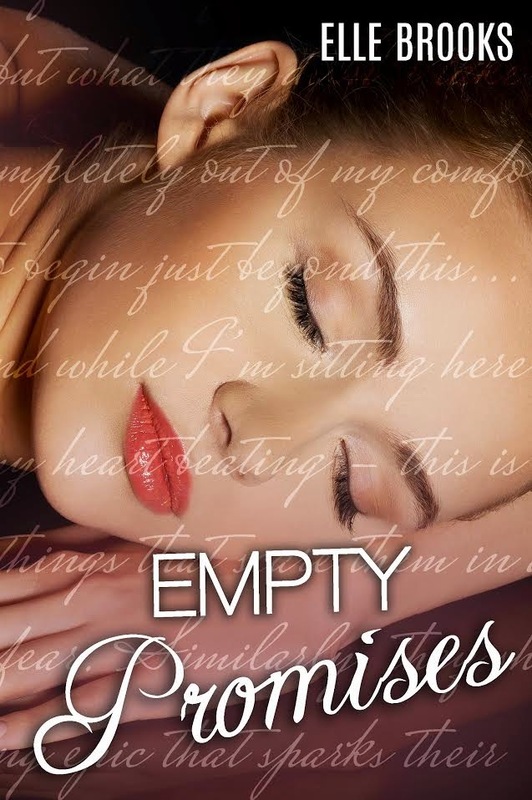 Empty Primises is a prequel novella, that can be read as a standalone. It’s part of the Promises series, and can be found on Amazon, iBooks, Nook & Kobo.